Temperature Corporation manufactures medical chillers for a variety of medical applications and procedures from blood cooling to lab testing and scanning. Our medical chillers can be used for MRI’s, CT and PET scanners, and lasers. Whenever you use high tech equipment for magnetic resonance imaging, scanning, blood cooling and laboratory testing, you generate a lot of heat that has to be removed for the equipment operate properly and for a long time. When a health, biomedical facility, diagnostic or treatment center has to cope with an overwhelming number of patients and medical issues, even the shortest interruption in equipment operation can be devastating. Hospitals are probably the largest users of both electrical and thermal energy on a continuous basis. Their operation is year round and 24 hours per day. With the proper cooling, they will not only save a lot of money, but a lot of lives. When you are using medical chillers to keep your medical equipment cool, repairs due to equipment failure, maintenance and servicing are inevitable, and usually mean an interruption in the operation. Even unexpected events like a power interruption, improper maintenance, failure due to normal wear and tear, or improper usage can result in interrupted operation. At Temperature Corporation we offer the only medical chiller system that can still keep your equipment functioning even as it is being repaired or serviced. 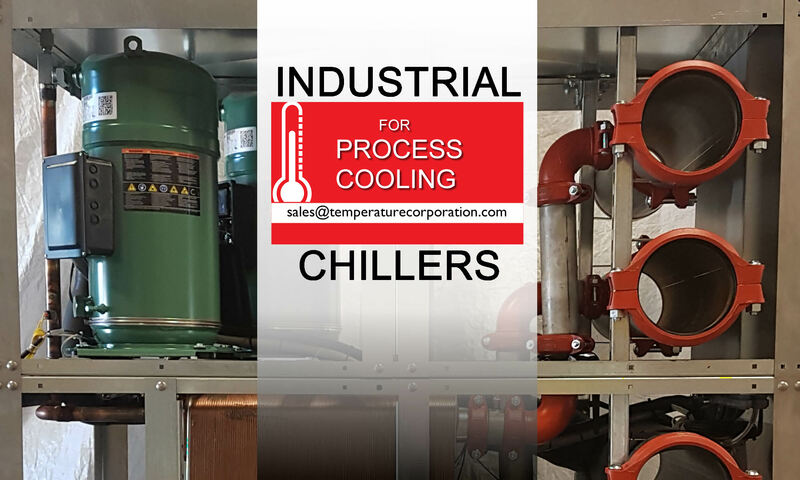 Our chillers are designed so that individual components can be repaired, serviced and even replaced without shutting down the balance of the system. Ideal for those critical medical procedures that require constant reliability, our chillers offer uninterrupted operation even in those times where equipment failure is unexpected. For these scanners to operate at the highest levels of efficiency, the magnet inside the scanner has to be as cool as possible. Liquid helium is often used as the refrigerant. There are two cooling methods available: air and water cooled chillers. While both of these medical chillers are responsible for removing heat from the MRI scanner, they differ in terms of where they transfer that heat – either the surrounding ambient air or a water source such as a cooling tower. If your facility doesn’t have a reliable water source such as a cooling tower or a plant chilled water system, an air cooled chiller is really your only choice. A water cooled chiller is your best bet if you do have a cooling tower provided that the water is 85Â°F (29Â°C) and that the cooling tower has enough reserve capacity to handle the additional load. Computed tomography or CT scanners are extremely valuable tools for medical diagnostics, They suffer, however, from a serious mechanical problem that not only diminishes their use but raises their cost. The x-ray tube in the scanner heats up so fast, about 1 to 3 minutes, that it has to be shut down and cooled for 10 to 30 minutes. Because of this patient throughput is very low while costs are high. A properly cooled CT scanner can provide life-saving information in a trauma center, but a critically injured patient can’t wait for the machine to cool down. An enhanced cooling system using a chiller would mean long-term and continuous operation. 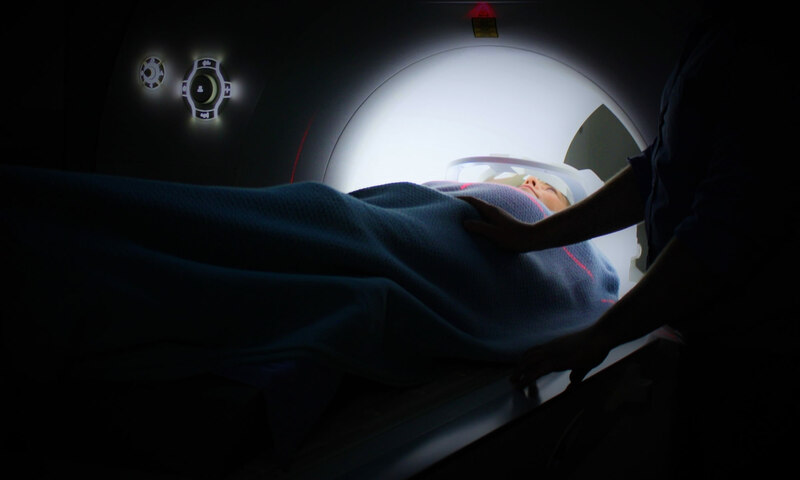 A positron emission tomography or PET scanner is a nuclear medicine medical imaging machine for producing a three dimensional image or map of functional processes in the body. Linear accelerators are devices that produce high energy x-rays by using electromagnetic waves to accelerate charged particles. To relieve the heat generated by the x-ray tubes, chilled water is circulated on the tubes.